The massive purchase that the Rank Group did from Gala has really thrown the London casino scene off balance. So when you head to Russell Square, downtown London, looking for a Gala casino you might be baffled to see that it is no longer there. Well, it is actually still there but operating under a new name. 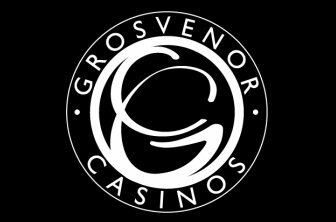 The Grosvenor Casino Russell Square in London is one of the latest additions to the extensive Grosvenor portfolio and a casino that is in a major transition period. Despite this the venue offers some great entertainment, exciting food and drinks, and of course, some excellent gambling opportunities. The massive glass chandelier in the heart of the casino works as a gathering point for anyone who has not been before. It emits a radiant bright light that makes even the hardest man turn in to pudding. The décor is very typical to a casino, a mixture of green felt and red carpets. The ceiling is just the right height to make the whole venue feel close but not too tight. With that said - it is not improbable to think that there might be some major changes to the interior within the next few months. It all depends on how willing Grosvenor are to change a winning concept. Because that is what this casino is - a winner. It offers a great range of games, a nice environment and excellent food 24 hours a day, seven days a week. So head over to the Russell Square tube station and take a brisk walk to the casino entrance - you will not regret it. The gambling floor at Russell Square is great for several different reasons. Firstly, it offers a really nice atmosphere that will make you feel right at home no matter where you sit down. Even though it is not the smallest room on the London casino stage it feels tight enough for you to be comfortable but not crowded. But what we are really interested in are the games. Six tables of American Roulette can be found spread across the floor, joined by a further four Blackjack tables, one Three Card Poker table and one Let it Ride. Alongside these we find a staggering 54 Electronic Roulette tables to give you everything you need for some basic gambling. If you are looking for a bit more of that then you need not worry, several Poker tables and a bunch of slots are strategically placed in the venue to keep you there, and to keep you happy, for as long as possible. On their website they claim to give you the best gaming experience in town. This might be a very bold statement but we at least appreciate the ambition. Once you enter the restaurant at Grosvenor Casino Russell Square you will be instantly drawn in by the stylish cream wallpaper. The colour coordination runs through the table cloths, the napkins and even some of the plates and glasses. Food in the restaurant is served throughout most of the day and you will find a mixture of traditional English food with a hint of exotic influences and fusion cooking to make it even more exclusive. As a restaurant it holds its own but combining it with the casino just makes it top notch. But if you are a bit tired of the fancy dining and the long breaks you can just head to the bar area and get "Bar Snacks". If you've ever been at a Grosvenor casino you will know that this means pizzas, burgers, pastas and salads. If you are interested in drinks rather than food the bar has an excellent wine list, several delicious cocktails and everything from lagers to champagne and spirits. No matter what you are after in terms of food and drinks, they will most likely have it here. The lack of a sports bar is, however, very apparent and something we would have loved to see at this location. Even though the casino doesn't stand or fall with this it does make for an overall better experience. The same goes for gigs, bands, or some sort of entertainment to keep you occupied through the night. With the change in ownership of the casino it is hard to put a finger on events and tournaments this early on. Grosvenor are usually quite generous and have regular events for loyal customers and newcomers. We are expecting them to dish out the same type of generosity at the Russell Square location but as of yet we are not sure exactly what they will offer. But be sure to check out their website on a regular basis to find out what is on and stay updated with the latest promotions. Why Grosvenor Casino Russell Square? This is a casino that can almost offer the full package. It has an excellent gambling floor with enough games to keep you occupied during the 24 hours of the day when it is open. The restaurant might not be to-die-for, but it is still a great place to dine if you want to combine food and gambling. If drinking is more up your street then the bar will not disappoint - ask for any of the cocktails and I can almost guarantee that you will thoroughly enjoy it. With such an accessible location, two minutes' walk from a tube station, this casino can offer you a great night out if you are just visiting London or if you live in the area. So head over to Russell Square now for a brand new Grosvenor experience.